It's the cold, hard truth that we're currently quite a few years past the heyday of internet auction site eBay. It is one of the sites that changed the way people shopped online, and its influence is still being felt in the universe of online retail, but you just don't seem to hear the name "eBay" as much as you used to. And yet, Pierre Omidyar, the founder of eBay, is still ranked as one of the most generous philanthropists in the world, having recently ranked #3 on The Chronicle of Philanthropy's Philanthropy 50 ranking for 2018. He earned that spot by giving away $392 million to various causes along with his wife Pam. That's despite the fact that he hasn't actually worked at eBay in many years. As the story goes, he became a billionaire after eBay went public in 1998, and almost immediately, he decided his life's work would be to give it all away. And now, more than 20 years later, that life's work is still far from complete. As legend has it, Omidyar was moved by what he saw in eBay users, and how private individuals largely treated each other with respect in commerce. That, combined with other issues with massive wealth that Omidyar and his wife Pam always had, led to the establishment of the Omidyar Network in 2004. The Omidyar Network has funneled hundreds of millions of dollars towards various non-profit organizations, all under the belief that everyone deserves an opportunity to make a difference in the world. In 2010, Warren Buffett and Bill Gates came around to ask Omidyar about The Giving Pledge, their famous initiative to encourage fellow billionaires to give away their fortunes in their lifetimes. But in the case of the Omidyars, they were actually too late, since by that point, they had been open about their desire to give away 99 percent of their fortune going back to 2000. And the self-imposed deadline is to have that 99 percent given away by 2020 – which will be here before we know it. Imagine Earning $9 Billion Overnight... Then Deciding To Give It All Away To Charity. That's What eBay Founder Pierre Omidyar Did. 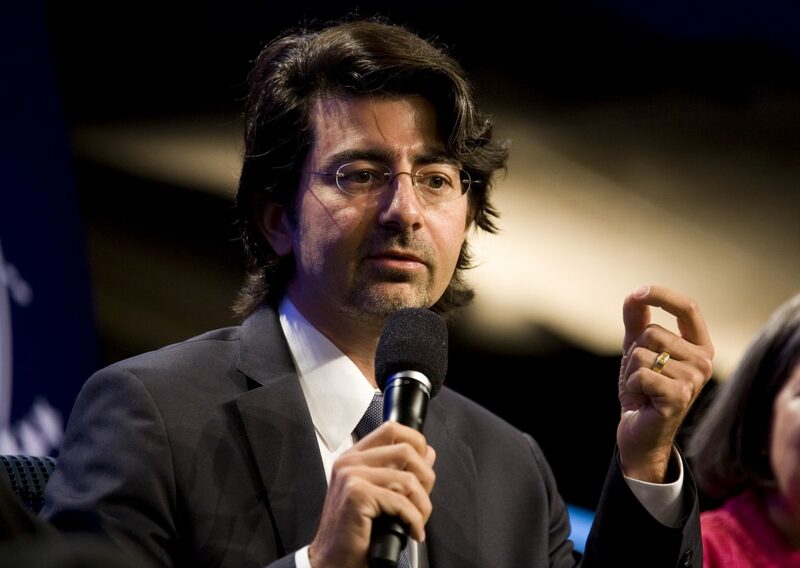 eBay Founder Pierre Omidyar became a multi-billionaire instantly back in 1998 when his company went public. Shockingly, he decided to give the entire fortune away to charity. With billionaire Peter Thiel's financial help, Hulk Hogan has seen success in his suit against Gawker Media. But does Pierre Omidyar's decision to help Gawker spell trouble for Thiel and Hogan?